As Walt entered his mid-60s, he didn’t seem to be slowing down. In fact, he appeared to be speeding up. He decided to create four exhibits for the 1964 World’s Fair in New York. Why? So that he could experiment with new ideas — particularly Audio-Animatronics — while using other people’s money. The Mr. Lincoln attraction he developed for the State of Illinois was one of the hits of the fair, and allowed him to take Audio-Animatronics a giant step forward. His other exhibits — done for General Electric, Pepsi-Cola, and Ford — were also hits at the fair. Meanwhile, he was working on other plans for the future: a ski resort called Mineral King was to be built near the Sequoia National Park. He considered a tourist site that might be called Walt Disney’s Boyhood Home in Marceline, and even bought up properties there. Of course the Florida Project would include a theme park like Disneyland, but that’s not really what fascinated Walt. No, he had decided that he could apply his lifetime of experiences to a brand-new kind of city; a city whose residents would utilize the best thinking about transportation, communication, and sanitation. “Solving the problems of the city obsessed him,” says John Hench, who began working for Walt in 1939 and is still with the company Walt left behind. 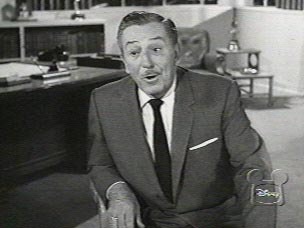 Walt called his dream EPCOT, for Experimental Prototype Community of Tomorrow. He studied, planned, and sketched ideas for it. On the last trip the Disney family took all together — a memorable yacht ride through British Columbia waters — Walt relaxed by reading books about city planning. Although EPCOT exists today, it’s not the place Walt envisioned. He simply didn’t live long enough to see this dream to reality. Walt Disney’s Biography – Part 10 – Disneyland!